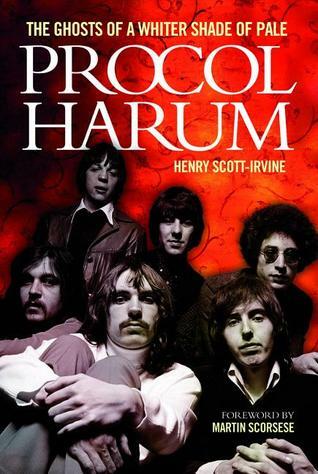 This is a well-written and exhaustive account of the recording and touring history of Procol Harum. It takes us from the days of the Paramounts in the Southend of the early sixties right through to the draining four-year court case that pitted the band's original organist against his former employers over forty years later. The coverage is comprehensive and well organised and the early chapters on the Southend scene are especially engrossing. In spite of the determinedly factual basis of the book, it's entertainingly written in a relaxed and highly readable style. As you'd expect, there is much quoting from interviews with band members and others closely connected to them and a selection of photographs. Overall, I found it a little light on analysis perhaps: the author prefers to let the facts and the interviewees' own words stand for themselves rather than offering his own interpretation or critique but then some may see that as a strength of the book rather than a weakness! Without a doubt, this is an essential book for anyone even remotely interested in the band and its origins. No prior knowledge is assumed: this is definitely not an "insider" book for fans only. Thoroughly recommended. Sign into Goodreads to see if any of your friends have read Henry Scott-Irvine. I love the band since I was 13, I cycled from London to Dunkirk to watch them live and watch them live recording with the BBC orchestra last year, so I really wanted to like this book. However, although is well research and full of insider details, the writing is very poor to say the least. It is too obvious it was written by a fan, it is way too biased. I hope someone with real talent will pen a book worthy of this band's greatness. Sad that you maybe only skim read the book? The criteria from the publisher's editor was that the book was to be written in the third person and, given that Procol had been in court for over five years in three separate hearings, a critique of the personnel was potentially a time bomb for further litigation. Over 40 people are interviewed in GOAWSOP and the detail distilled therein is quite considerable. Consequently, the linear narrative style was paced in a journalistic manner in order to drive it along without being unnecessarily pedantic. The book was sent by me to both Martin Scorsese and Sir Alan Parker - neither of whom I know nor had previously met. They were so impressed by the content that they both provided introductions to the biography, taking no fees whatsoever. For two names of this magnitude to make such provision is, quite frankly, unheard of in the annals of the rock book publishing. The biography was aimed both at the informed fan as well as the casual reader. Negative reviews and some first person opinion addressed the weaker 1975 and 1977 albums, despite your claims of 'bias'. Meanwhile, I have not worked for the band, but did organise their 1996 LSO Barbican gig with their late manager Kellogs. The criteria was that the book was to be a biographical history of the band and that the reviews Procol had received in the music press - from 1967 until 1977 - were to come from the more perspicacious and insightful purveyors of rock writing. Negative reviews from Rolling Stone are included, too. Upon conclusion England's finest novelist Sebastian Faulks asked to see the galley copy prior to publication, and, upon that basis wrote the Afterword as he was also suitably impressed with the content. Once again he provided a short manuscript as per Scorsese and Parker. Over 60 four and five star reviews followed globally in all forms of press. Asides this, I have also worked professionally in the world of Music Documentaries as a producer for both TV and DVD (for many years) as well as being a journalist. So I can assure you you that I am no casual 'fan' as you appear to assert above.